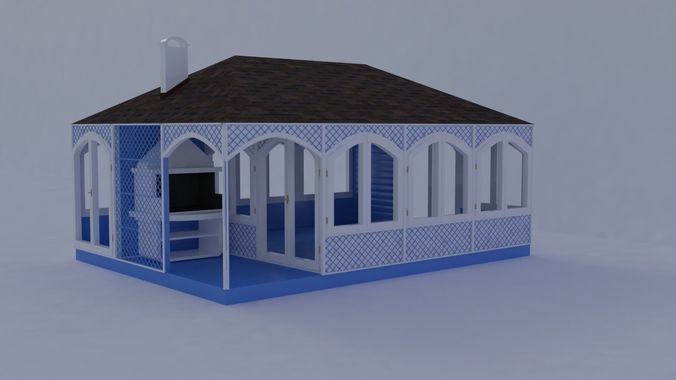 gazebo / summer house. there is a stove for cooking. House of wood and glass. for celebrations and barbecue.